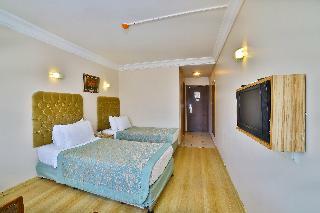 This family-friendly, city hotel is located in the heart of the historical district of Aksaray. 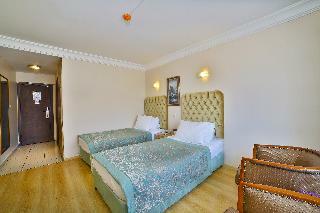 Museums, historical buildings such as Hagia Sophia and Topkapi Palace are within a 15-minute walk. AtatÃ¼rk International Airport is 15 kms from the hotel. 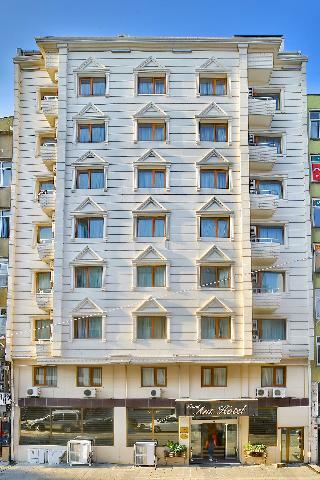 This air-conditioned hotel was fully renovated in 2006 and offers 55 guest rooms, a restaurant-bar, a hotel lobby with a 24-hour check-in service, a hotel safe, a currency exchange service, lift access, WLAN Internet access, and 24-hour room service and a laundry service. 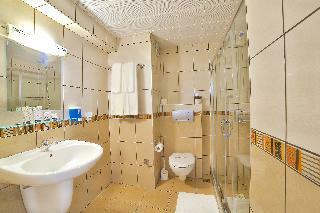 All units are en-suite and contain a direct dial telephone, satellite TV and a hairdryer. 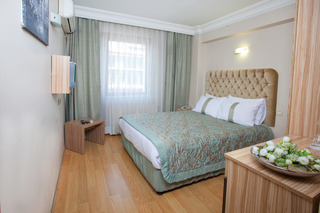 The rooms have individually regulated air-conditioning units, central heating and balconies /terraces. The restaurant serves a breakfast buffet.